Some people have them at 3am. Some people have them while they’re driving, while they’re in the shower. But when we’re talking about campaign ideas, they often come through collaboration. Sometimes these are group sessions, or sometimes they are looking at case studies from other campaigns. We think Christmas and New Year’s, when there are so many campaigns in market, are great times to get a bit of inspiration. 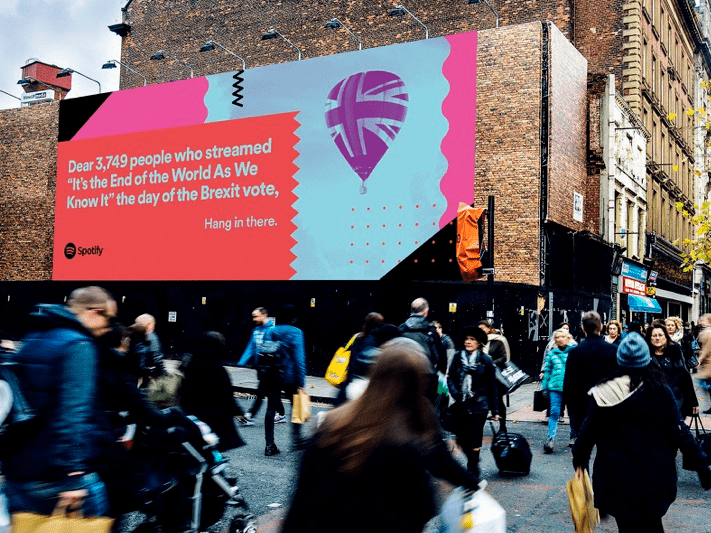 These campaigns might look distinctly festive in their execution, but of course, the learnings from them are relevant all year round. As brands compete for their slice of your festive spending, they come up with some fairly spectacular ideas. So, even if your Christmas and New Years campaign is already in full swing, you’re not exempt from a little promotions history lesson. Don’t worry — it’s a highly modern history lesson. If you’ve been living in Australia this year, chances are you’re fully aware of the Coles Little Shop promotion. 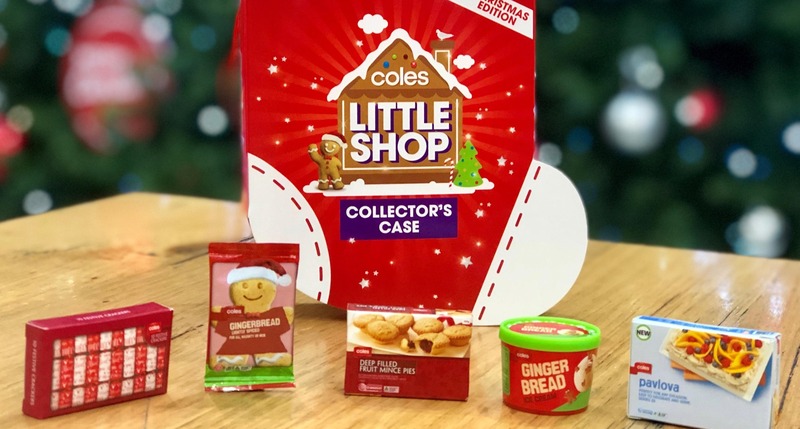 You’ve probably also heard that Coles has announced it’s taking its Little Shop all the way to the North Pole. Yep, Christmas-themed Little Shop. We’re bracing ourselves for further success here, which is why this made our list of exceptional Christmas campaigns before it even hit the market. In case you’ve found yourself lodged beneath a rock for the past several months, here’s how it worked: for every $30 you spend at Coles during the promotion period, you can claim a miniature of what Coles called “Australia’s favourite big brands” — things like inch-high jars of Nutella and Vegemite, tiny boxes of Weet-Bix, and even tiny bottles of Pantene shampoo and Dettol hand soap. Find one of the thousand “red hands”, you receive $100 Coles gift card. And, enter into the ‘Ultimate Little Shopper’ for your chance to win $10, 000 worth of groceries by explaining on social why you are befitting of that title… They even managed to integrate that into their existing rewards program: if you purchased a participating product and scanned your FlyBuys card at checkout, you entered into the running to get a full set of Little Shop figurines. This campaign was, in any language, wildly successful. Yes, tiny bits of plastic held some responsibility for Coles’ strongest quarterly sales growth in two years. Woolworths, in turn, blamed these plastic collectables and the plastic bag ban for their underperformance in the same period (plastic was the root of all of Woolies’ problems this year?). Canstar Blue did a revealing survey — they found that 21% of their surveyed group were motivated by to spend more by promotions such as Little Shop to spend more. 22% said it influenced where they choose to shop, which means Little Shop was opening the conversation for loyalty for about a fifth of us! Thinking about the promotion’s value to Coles, think about this: to get the full set, of course, it would require a spend of more than $900. And $900 is the minimum spend — you would almost certainly have to spend more to get the full set as you could not choose which toy you were given: they were mystery-wrapped so that it truly was a surprise as to which you were given. So, why did this promotion work? While there’s more to this campaign than what we have time or space to discuss (we originally had three case studies planned for this article but decided it would be too long if we did that), it truly shows that Australia can be snared by a good gift with purchase, especially when framed so well. The promotion appealed to a broad demographic — the nostalgia appeal was strong in the choice of brands to appear in the Little Shop Collection. They had truly iconic brands, like Vegemite, Weetbix, Milo, Tim Tams— products many Australian would have grown up eating — brands that are classic, but still relevant. The figures from Canstar and the sales results show us, too, that a promotion can (and does) inspire loyalty. With all that in mind, it’s no wonder it’s back for Christmas. ASIC estimated Australians spend $19 billion on the food for Christmas celebrations. Taking a slice of that pie is seriously important for supermarkets, so the timing is especially strategic. Spotify — Thanks, 2016. It’s Been Weird. If you haven’t heard us talking about our approach to data-driven campaigns, you probably haven’t heard from us lately. While it could be tempting at Christmas to try and get cut through with blanket marketing (reach everyone! Get sales NOW! ), it’s a time of excess for gifts and food, not your marketing budget. Running specific and targeted campaigns is not a seasonal thing — it’s an obligation. It’s a necessity. A successful data-driven campaign doesn’t have to have data on its front page. But this one does. The result of Spotify’s global “Thanks, 2016. It’s been weird” campaign set them up for their highest ever subscriptions in December that year. YouGov called the campaign a success, pumping up their ad awareness score by 5 points. And, of course, it hit the spot on social — it was shared more than 669, 000 times. Two Christmases later and it’s still funny. Confronting people with the data you have on them is not always a great idea. In early 2018, when some users were confronted for the first time with what data Facebook was doing with our data (a la Cambridge Analytica), users left in their droves (in their millions, not thousand). But when Spotify makes a whole campaign about its users’ data — literally sharing it with the world — it works. Why? Well, there’s definitely a combination of factors and it’s worth stating that not everyone was pleased about the use of their data. But it’s a great example of how data can be used to acknowledge — not just target — consumers. The realisation that their browsing data is used to send targeted advertising is still a sore point for some customers. But Spotify’s use of data was open, honest, and funny. These are hardly words that anyone would use to describe Facebook. Consumers were already familiar with Spotify’s ability to create playlists and track suggestions under their Just For You functionality, so perhaps it seen as an extension of the kind of personalisation they were already comfortable with. But the style is the true hero here — the data-driven copy congratulated, questioned, and invited engagement from those it addressed. It made consumers think that Spotify was listening to them as they were listening to it. They spoke in their language (literally) and referenced their local landmarks, idioms, and cultural icons. Spotify is great at this — they’ve previously drawn upon user data celebrating playlists called “bin chicken” and “Smashed Avocado” in the Australian market through out-of-home advertising. When you’ve got something nebulous as a streaming service, this personalisation, this cultural connection can be everything. We love seeing creative ideas in action, and we love making them happen. If these campaigns have sparked any inspiration for you, we’d love to hear about it! It doesn’t matter who you are as a business; creative campaigns can be an asset. But, after twenty odd years in the customer engagement business, we know it’s not necessarily easy to bring your creative ideas into being alone. We work with you to make big promotions big successes — get in touch to see how we can make it happen for your brand.